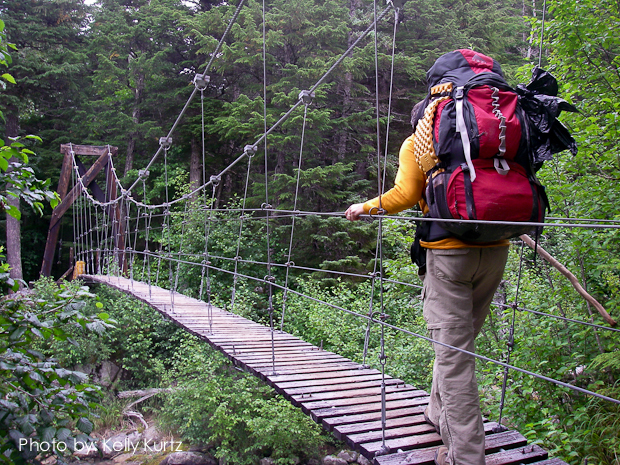 The Chilkoot Trail is an adventure that will give you a sense of the challenge, excitement, anticipation, and dangers which faced the Klondike Goldrushers of 1898. 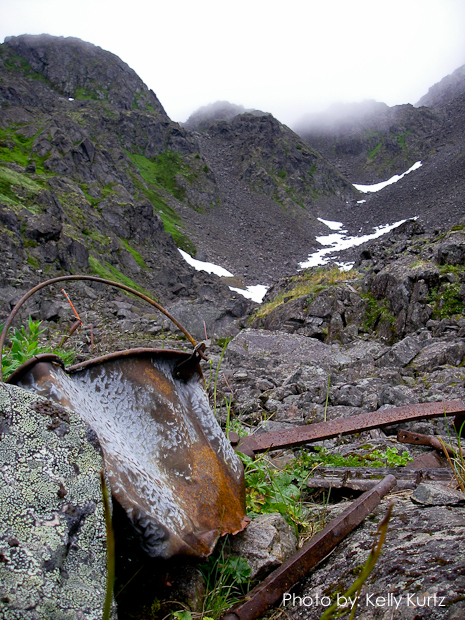 The Chilkoot Trail serves as a historic outdoors museum,with the discarded equipment, grave markers, and other reminders of the goldrushers found everywhere along the route. 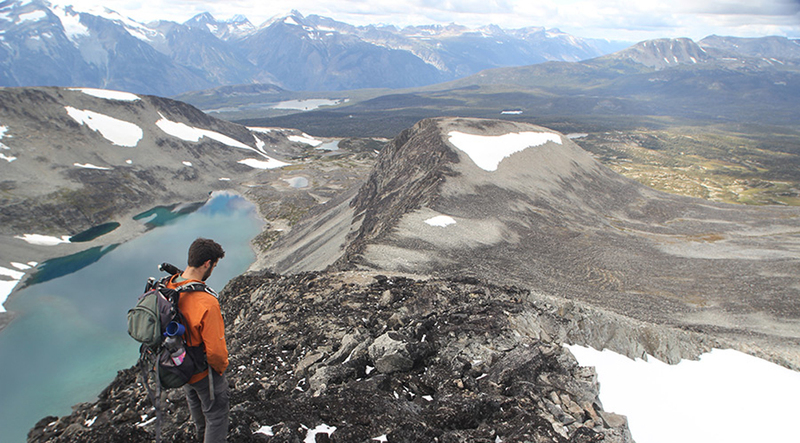 Our route takes us through rainforest, alpine tundra, and boreal forest.Snowcapped mountains, hanging glaciers, turquoise lakes, and cascading rivers contribute to the magnificence of the rugged, scenic area that follows the Chilkoot Trail. 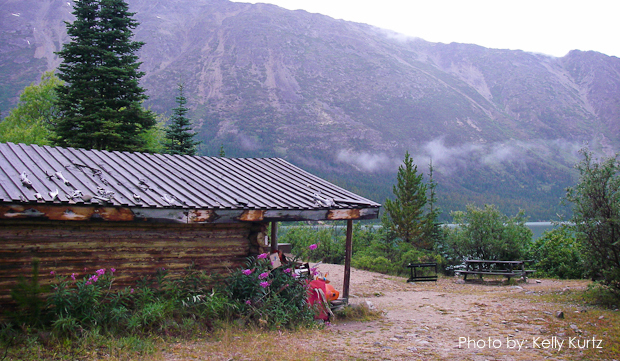 Our travel back in time begins with a 3 hour train ride aboard the White Pass & Yukon Railroad from Fraser at the top of the White Pass to Skagway. The train follows the scenic Skagway Valley, past glaciers, through tunnels carved into the mountains, over trestled bridges, and past historic goldrush landmarks. Included: Transportation from the point of origin and return, national park user fees, White Pass & Yukon Railroad, camping fees, cooking gear, camp stoves, tents, meal preparations, tarps, major first aid supplies, meals/snacks/beverages on the expedition, emergency radio or satellite phone, and professional guides. Meals: All meals while on the backpacking portion of the trip. 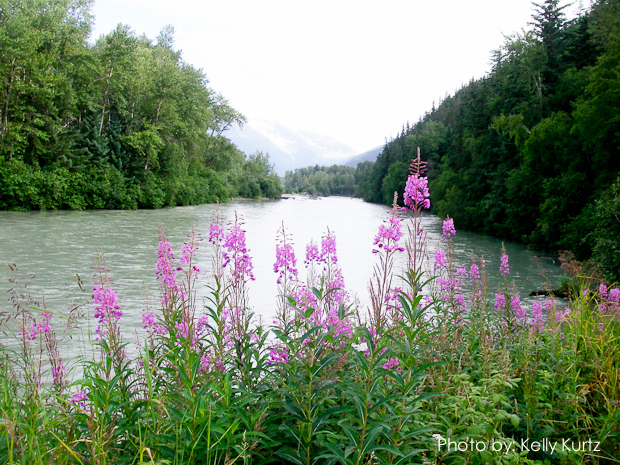 Day 1:We will leave Whitehorse and begin our drive along the very scenic Klondike Highway to Fraser, the Canadian border with Alaska. It is here that we will leave our van for a 3 hour trip aboard the White Pass & Yukon RR through time and scenery to Skagway, Alaska. After dinner and a short visit to the Gateway to the Klondike we will be driven to Dyea, Alaska, where the trail begins and our campsite. Day 2:The first part of the trail is forested, fairly flat, and relatively easy. The trail follows a logging road past a sawmill (1950s) to Finnegan’s Point. Across from here is the magnificent Irene Glacier. From Finnegan’s Point the trail begins to climb, but not dramatically. We will eventually descend the trail to the site of Canyon City at the mouth of the Taiya River Canyon. This will be our campsite for the evening. Day 3: Shortly after leaving Canyon City we will begin to climb high above the Taiya River. The trail is entirely through forest. There are a few spots, however, where the scenery is fabulous. The trail will eventually level off at a site called Pleasant Camp. The name refers to the fact that this was the first level land and decent campsite after Canyon City. Day 4: We will begin the most strenuous section of the trail today, with dramatic changes in elevation and vegetation. We will leave early in the morning, as progress will be slow. As we begin our assent from Sheep Camp, we gradually leave the rain forest behind. 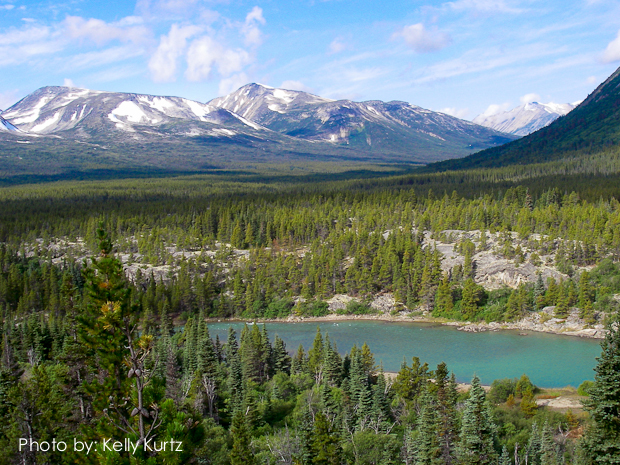 Tree size decreases, and the landscape takes on the barreness of sub arctic tundra. This stretch was called Long Hill by the goldrushers, for reasons that will become obvious. 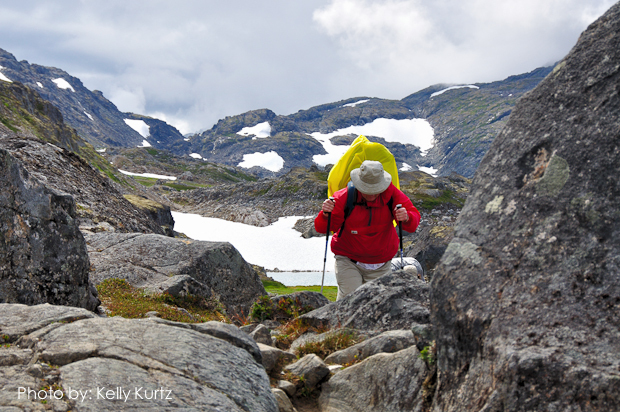 The Chilkoot Pass, nondescript, comes into view. At this distance its ominous reputation seems undeserved. The Scales mark the end of the long, gradual drag up Long Hill. At the Scales, the formidable nature of the climb over the Chilkoot Pass becomes evident. Large boulders and a steep grade mark the route up. From the summit the trail becomes easier as it begins to descend and level off. We are now in true alpine tundra country. 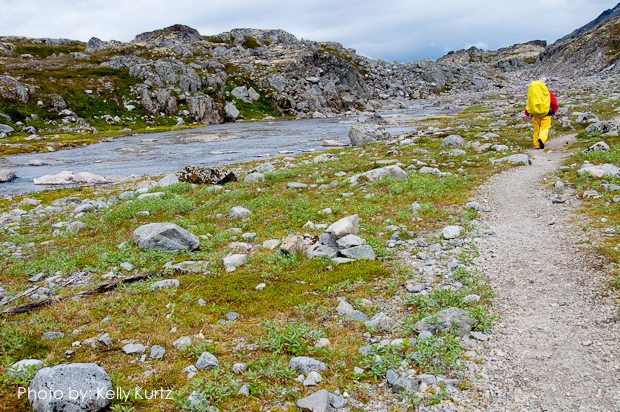 The trail to our campsite at Happy Camp will highlight those features which make a tundra landscape uniquely beautiful. Day 5: We have completed the most difficult section of the trail. The remainder of the trail is relatively easy. Although there are stretches of uphill hiking they are not long or dramatic. As we leave Happy Camp the trail rises above the valley and follows a ridge along Long Lake. After a short hike Deep Lake appears below us. A descent brings us back below the treeline. The trail skirts the lake and then runs high above a narrow canyon which the river, now known as Moose Creek, cascades from Deep Lake to Lake Lindeman, our campsite for the evening. 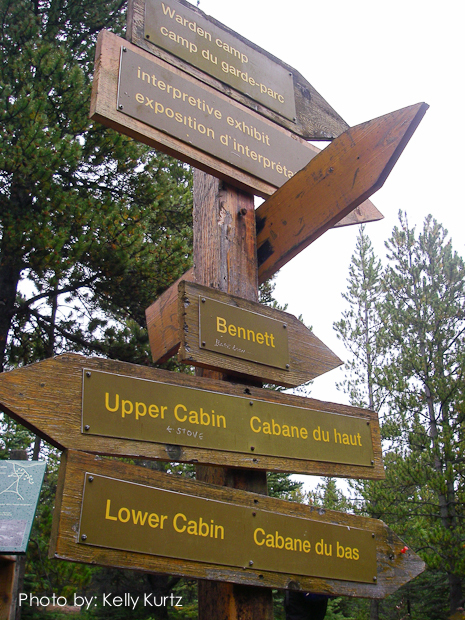 Day 7: We will have the morning to explore the area around Lake Bennett. Around 1:00 pm the WP & YR railway will return us to Fraser where our van is parked. Our return to Whitehorse will be punctuated by a stop at Carcross, an interesting and historical Yukon town.